On the 11th and 12th of June, all the associations involved in the OnGea project were reunited for two days of intensive work. The main goal was to exchanges ideas and to have a previous overview on the OnGea website which is still developing, but nearly finalized. 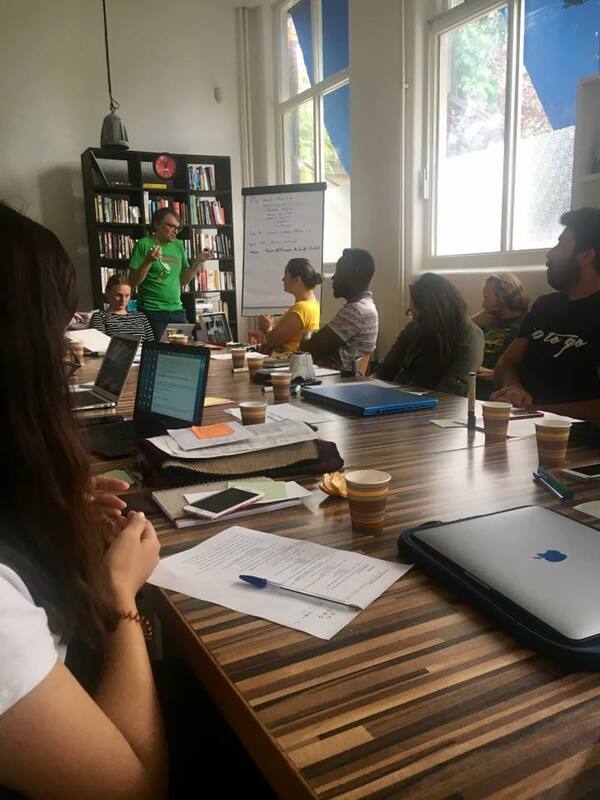 Let’s remember that OnGea is a three-year project (2015-2018) and will provide numerical tools for youth work, particularly youth events, international youth meetings and youth organisations. It will be made of a website, where organisers will have access to intern modules to organise their projects (schedules, travels, accommodations…), which will be related to a mobile application for the participants (working both on iOS and Android). All these tools will be available in more than 10 languages thanks to a specific design and a multilingual system implemented by all the international partners of the project. This meeting was also an occasion to welcome two new partners who were not present during the last meeting in Kaunas: Les Têtes de l’Art (France) and Euroest (Romania). The first day focused on Status Quo and to get in touch with the system. All partners explained their expectations, and then talked about the project development (challenges, timeline…). OnGea was presented and people could finally test the “pilot” website, giving feedback (questions, problems, suggestions…) in order to improve it. The second day concerned the external communication including the multiplier events, the PR and translations which are the next important steps in this project. First, there was a discussion for translations in order to make it clear. As the first multiplier event will occur on the 27th of June in Florence (Italy), all the strategies for the presentation had to be ready for all partners. The work was done in small groups to work more efficiently: social media PR, OnGea PR text, structuring and planning multiplier events. Each work was then presented to whole group. To conclude, this management meeting enabled every partner association to have a clear idea on the developing website and to give feedback so as to make improvements until the first multiplier event and the final launching. The next steps to come are the multiplier events and the campaign for #OnGea. OnGea is financed by the program ERASMUS + from EU and coordinated by ROOTS & ROUTES Cologne e. V. The development of the application OnGea was also financed by the Plan of promotion of childhood and youth of Nordrhein-Westphalen. The partners of the project are: ROOTS & ROUTES international association, ROOTS & ROUTES (Netherlands), Smouth (Greece), Subjective Values Fundation (Hungary), Brouhaha International (UK), Centro di Creazione e Cultura (Italy), Les Têtes de l'Art (France), Rutes i Origens (Spain), Kaunas Cultural Center of Various Nations (Lituania) and Euroest (Romania).